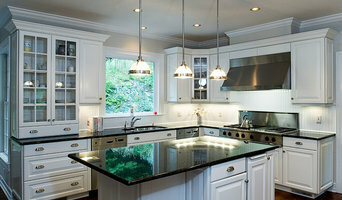 For over 35 years specializing in custom kitchen. 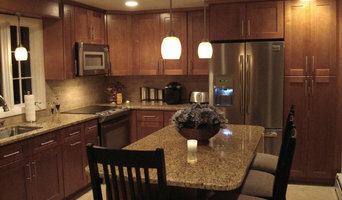 We're a full-service design center that does everything from remodeling to large scale custom-designed projects. Our designs are value-driven, allowing you to stay within your budget. 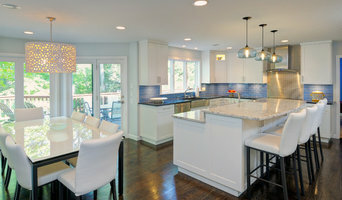 Experienced with over 5000 kitchen and 3000 baths designs, our work has been featured in publications locally and nationally including the book cover photos for Better Homes and Gardens Kitchen and Bath Ideas and Leading Kitchen and Bath Designers published by Sandow Media Group. We also serve as a U.S. Tile Agent for Franco Pecchioli (www.pecchioliceramica.it) of Florence, Italy, makers of luxury hand-glazed Italian terracotta, slabs, and plumbing fixtures. "A wealth of knowledge under one truss." It's our motto and what sets Chace Building Supply apart from all of our competitors. Since 1992, we have been serving homeowners and contractors in Northeastern Connecticut and Southern Massachusetts for all their home improvement needs. As a small, family-owned business we know what it means to be part of the community and we understand what our customers want and need because we take the time to listen...and make their dreams come to life! For inspiration for your next project, we offer a beautiful kitchen and bath showroom as well as a door and window showroom that houses the most up-to-date styles and trends in the industry. Have a dream deck project in mind? Or perhaps you're wanting to refresh your living room or bedroom with a new floor and fresh coat of paint? We have knowledgeable staff waiting to help your vision of home improvement become a reality. We at Chace Building Supply know that people have many choices for where they can purchase their building supplies. By visiting us, we show homeowners and contractors alike how we go above and beyond to make your home improvement project a pleasant one. We pride ourselves on outstanding customer service, high attention to detail and competitive pricing. Contact us at (860) 792-6035, or click the "Contact Me" button to send us a message. 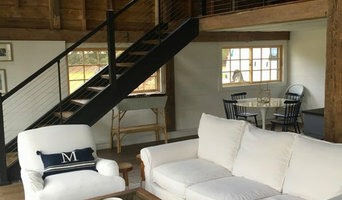 Let us help you design your dream home and see why we are "a wealth of knowledge under one truss." It's plain and simple: we are determined to build your home as if it were our own. We want to try to make this process as easy and enjoyable as we can for you. Holding periodical meetings, asking the right questions, understanding your lifestyle, and supplying you with as much information as we can for you to make a well-informed decision as to what would be best for you and your loved ones. For our Re-Hab to Re-Fab homes, we are determinded to try and accentuate the uniqueness and character of each home we choose and complement each of them with a modern twist. Our homes are carefully chosen for their "good bone structure", neighborhood appeal, and the general "good feeling" we get upon entering its doors. We are quite capable of seeing past the hardships of the property and find it easy to rejuvenate the homes bringing them in line with the needs and desires of today's Buyers. In the end, it is our hope to foster a relationship that will last well beyond the construction process.